The premium Lekker Leather range is now available in a package deal. 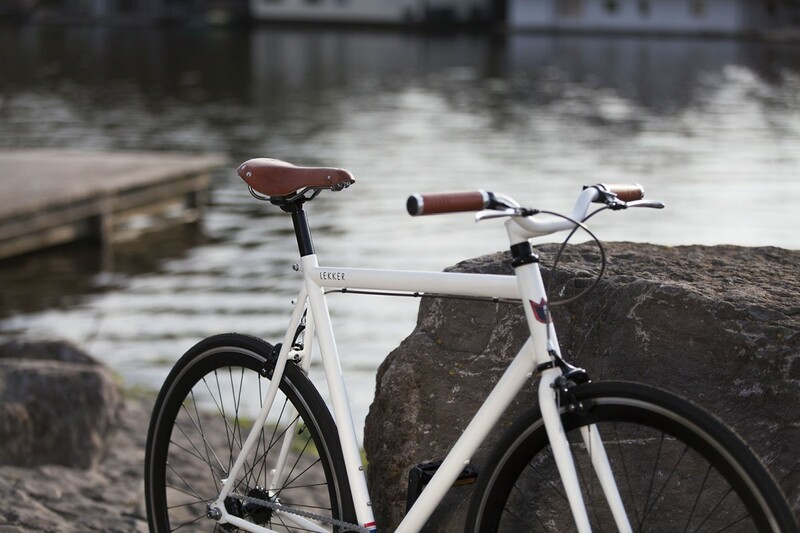 We have selected only the best possible leather to come with your bicycle. 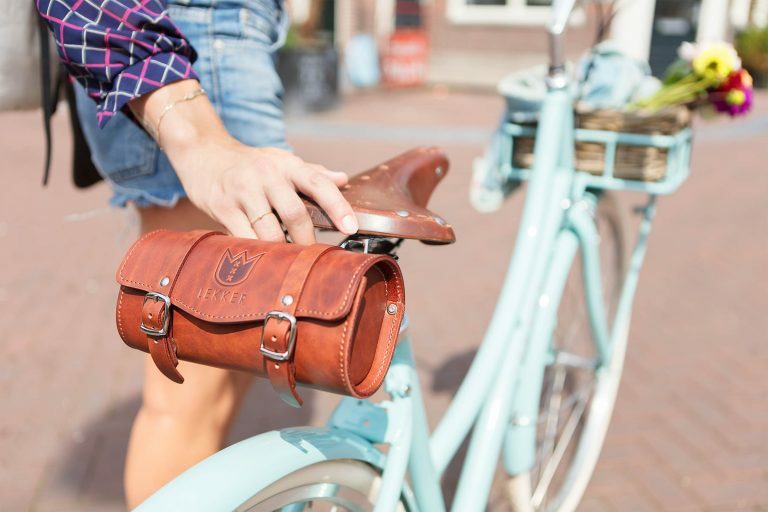 To complete the look, we have packed the Saddle, Grips and Saddle Bag together for you. 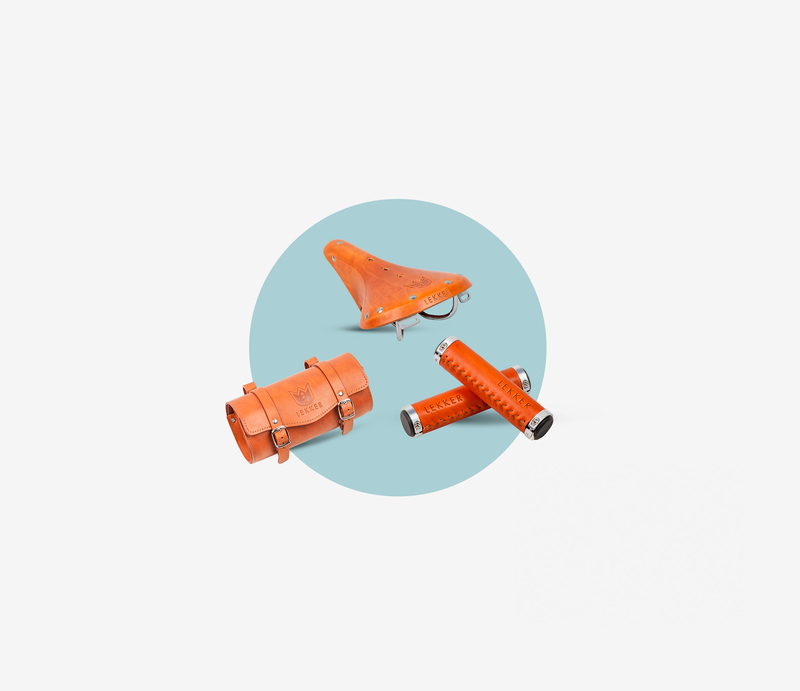 Choose from 3 different colours, 2 saddle styles and find the right grip size to fit your single speed or multi-speed geared bike to perfection. All saddles are hand made and we’ve used genuine premium leather. All rivets are hand hammered making a timeless design. 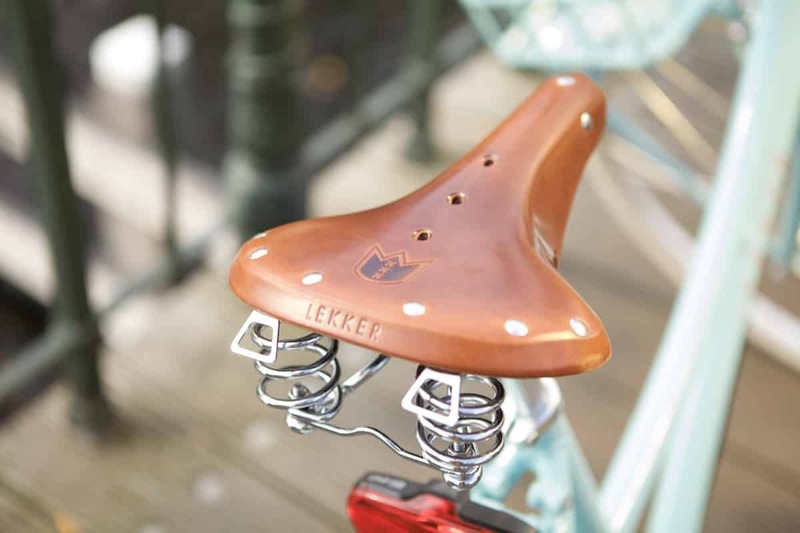 The Leather Package comes with a choice between two of our premium Leather saddles. The Commuter saddle is ideal for your long distance commute. Based on a real classic the commuter design has ben around since 1898. 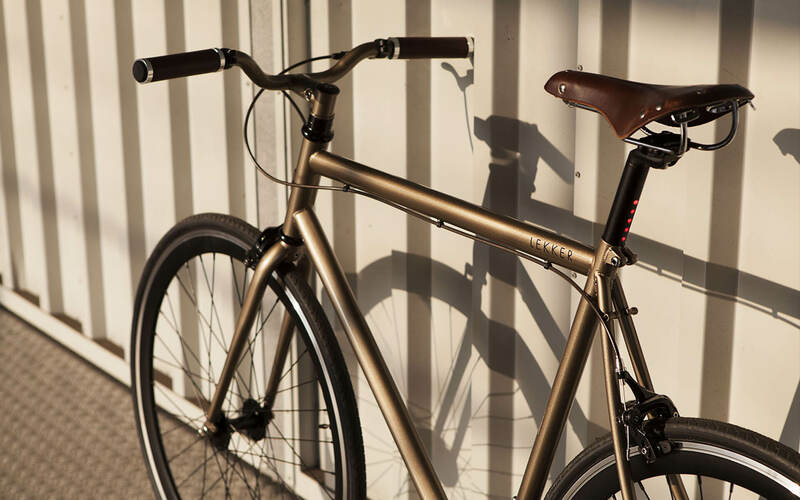 The Commuter features silver steel rails, plated steel metalwork and will age nicely. The Cruiser is based on the classically sprung saddles for long distance trekking and touring and combines premium leather tops with comfort, making this a populair choice. The extra suspension is made from rust free materials and will last a life time. Our genuine leather grips, hand stitched leather, embossed and with aluminium lock rings secure you can be sure they attach firmly to your handlebars. 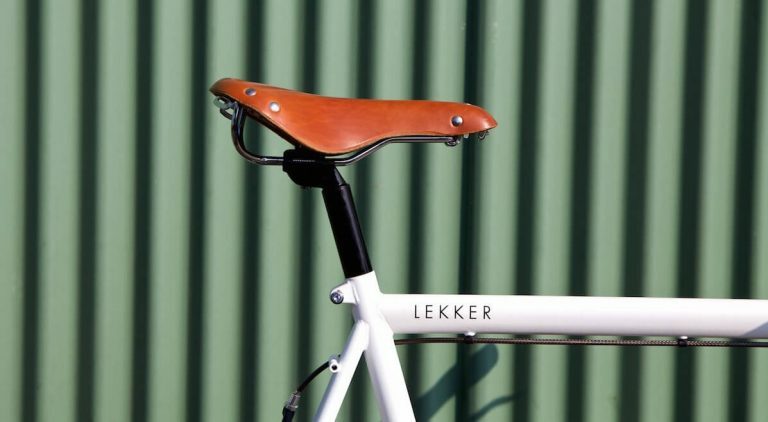 The leather grips make a perfect fit together with your Lekker saddle and saddle bag. The Grips come in two styles. 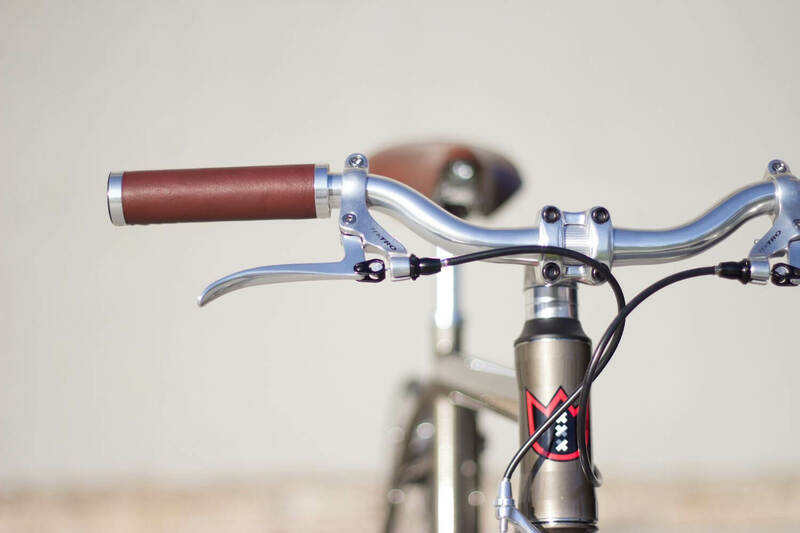 The "long" version should be selected for single speed bikes, or bikes without a grips shifter. The "Short" ones, are for bikes with a Grip shifter on the handlebar, as this set comes with one shorter grip to fit your grip shifter perfectly. Save $39 and get the full leather package!